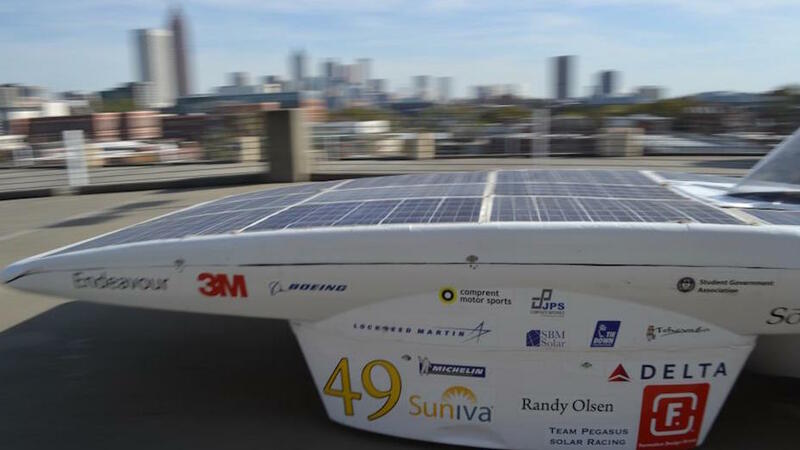 Endeavour is the first fully functioning, 100% solar-powered car raced by Georgia Tech. Silicon solar cells (17% efficient) are attached to the top of the aerobody made from carbon fiber. Endeavour weighs in at a little less than 900 pounds with driver and has seen top speeds of 45 mph. All of this runs on about 1.0 kW, or roughly the same power as a hair dryer. The team is currently using Endeavour as a testing bench to validate all of the new and exciting technology we will be implementing on SR-2! We have completed our second-generation car, SR-2, Odyssey, which is currently competing in the American Solar Challenge 2018 after having qualified at the Formula Sun Grand Prix. 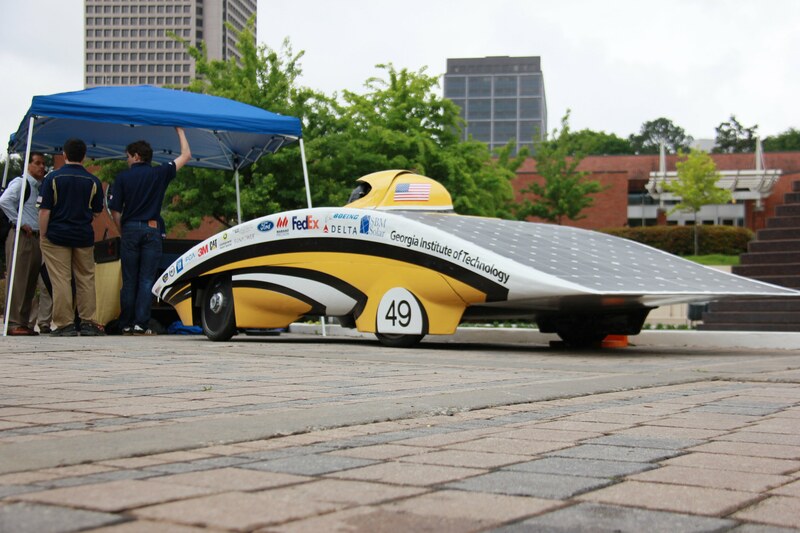 This vehicle is designed to be compatible with rules and regulations of both the American Solar Challenge and the World Solar Challenge. SR-2 will have an aluminum 6061-T6 frame, carbon fiber aerobody, lithium iron phosphate batteries, two 98.4% efficient motors, carbon fiber wheels, and 20.9% efficient single junction solar cells generating 1.2kW of power. It will weigh around 600 pounds with driver and be able to reach speeds of 80mph.